If you are one of those who dread Monday morning blues, surely looking forward to the weekend is one of the absolute ways for you to beat the depressing week! Employees always live for weekends unless they are workaholics and life cannot be separated from work. 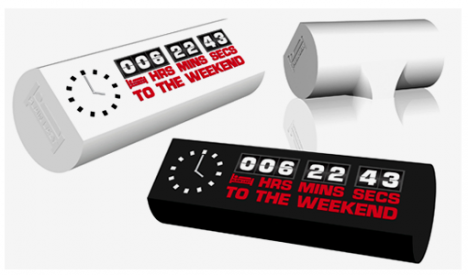 Knowing the fact that looking forward to the wonderful weekend is part and parcel of your life, the interesting Weekend Clock is something you should not miss!